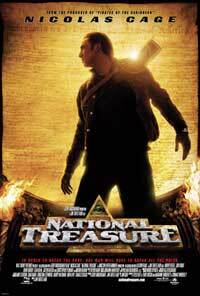 Since childhood, Benjamin Franklin Gates (Nicolas Cage) has known that he is decended from a long line of people whose job is to guard a treasure hidden by the Founding Fathers, who hid clues to its whereabouts in the country's currency and on the back of the Declaration of Independence. Now, he has learned of a plot to steal the Declaration, and has only one option: steal it himself. Even if he pulls off this monumental task, keeping the treasure safe is still going to be incredibly hard, especially since the FBI has also gotten wind of the scheme. The Intrepid Sea-Air-Space Museum is a military and maritime history museum with a collection of museum ships in New York City. 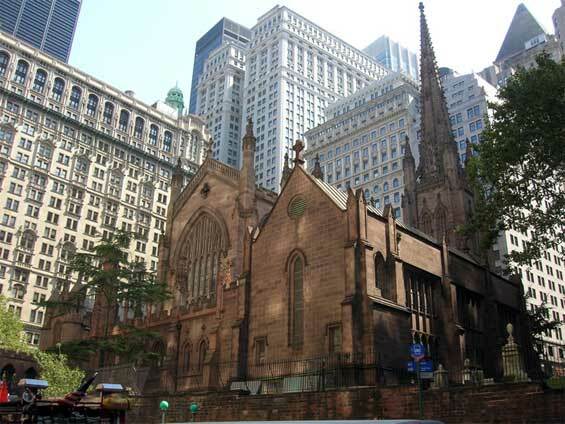 It is located at Pier 86 at 46th Street on the West Side of Manhattan. 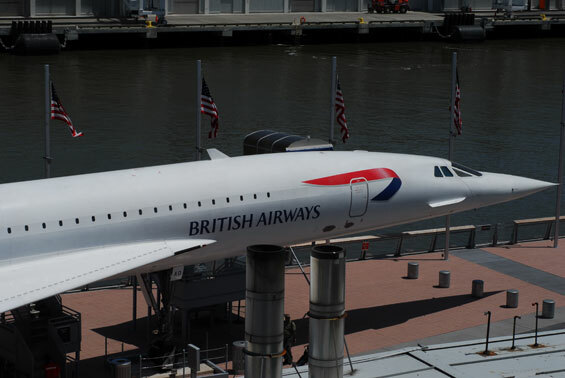 The museum showcases the World War II aircraft carrier USS Intrepid, the submarine USS Growler, a Concorde SST and a Lockheed A-12 supersonic reconnaissance plane. 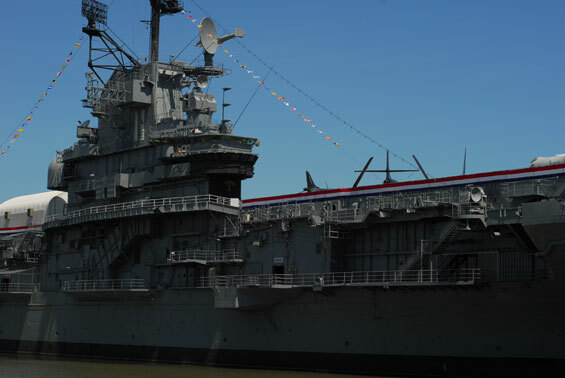 The museum serves as a hub for the annual Fleet Week events. Visiting warships dock at the cruise ship terminals to the north, and events are held on the museum grounds and the deck of the Intrepid. 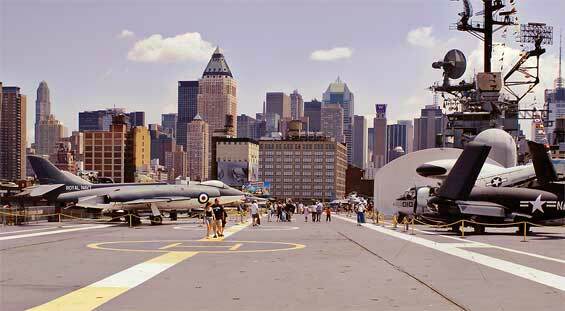 Originally founded in 1982, the museum closed in 2006 for a 2 year renovation of the Intrepid and facilities. The museum reopened to the public on November 8, 2008 with William White as its president. 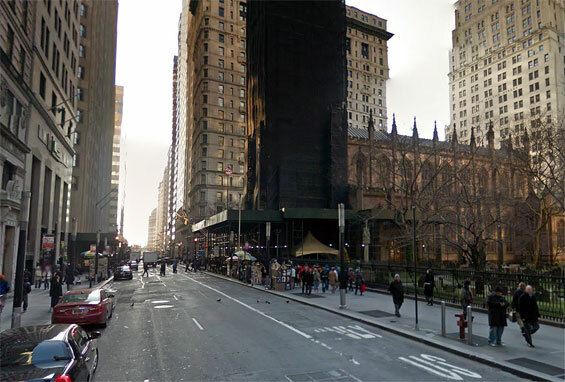 Broadway (btw Pine Street and Wall Street) Manhattan.